Mindfulness is a popular word these days, showing up in newspapers, on the covers of magazines, and all over social media. There are many benefits of mindfulness practice, and many people have found it to be helpful in their own lives. You may think of formal sitting meditation when you think of mindfulness, but we can actually cultivate mindfulness at any time, in any place. There are many ways you can learn how to be mindful in daily life, but first let’s look at what mindfulness is. Mindfulness, in the Buddhist teachings, is a quality that may be most basically understood as awareness and recognition. One of the main purposes of mindfulness meditation is to cultivate awareness into the Three Marks of Existence. In mindfulness, we are aware of our present-time experience, and recognize if it is causing suffering or liberation. For example, we may notice that we are experiencing anger (awareness), and that this anger is perpetuating suffering in our own lives and perhaps the lives of others (recognize). This second piece is often missed in describing mindfulness, and is important. The Buddha taught about mindfulness extensively, with the most prominent teachings found in the Satipatthana, or the Four Establishments of Mindfulness. 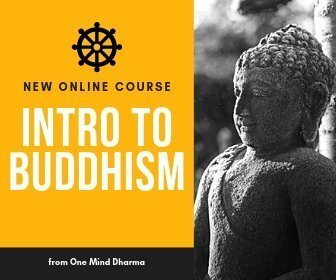 It is here that the Buddha taught of mindfulness of the body, mindfulness of the mind, mindfulness while walking, and many more important teachings. 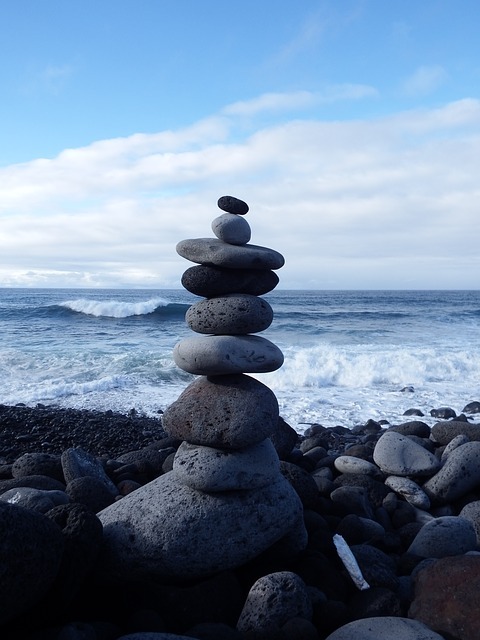 When investigating what it means to be mindful or how to be mindful in everyday life, it is important to remember that mindfulness does not mean being happy all the time, does not only arise in sitting meditation, and does not just mean being present. Present-time awareness is necessary, but we also must recognize the nature of what we are experiencing. I recommend checking out our page on the Establishments of Mindfulness mentioned above, and our page on 7 Misconceptions about Meditation for more about what mindfulness is and is not. If you’re new to mindfulness, you can check out our Mindfulness for Beginners page with some guided meditations, tips, and explanations. We wrote a post a few years ago called 8 Ways to Bring Mindfulness to Daily Life and it was one of our most popular posts at the time. So, we thought we would elaborate, add some more ideas, and update that post! We have written about this idea quite a bit, but it is because we love this practice in our own lives! The idea of an awareness trigger is that you choose something that happens regularly in your life, and use it as a reminder to practice mindfulness. When your chosen event happens, you can return to the body, take a few mindful breaths, or simply tune in with some open awareness to whatever is arising in your experience. An awareness trigger can be anything you want. It may be something you do such as brushing your teeth, driving, or washing dishes. It also may be something that happens outside of your volition and control, such as the sound of a phone ringing (or vibrating), hearing a car horn, or seeing a non-human animal. Whatever your trigger is, make sure it’s something that happens somewhat regularly in your daily life! As we covered in our recent post 5 Simple Ways to Practice Meditation at Work, you can always turn toward walking meditation. Or, if you don’t walk or are unable to, you can practice moving meditation! It may be helpful to try a guided walking meditation first to understand the practice, but you can do this anytime during your day. Mindful walking is one of our favorite mindfulness exercises, and can be a powerful practice. You can try simply bringing your awareness to the physical sensations as the body moves. What can you feel in the body as you walk? Maybe you notice the feet lifting off the ground and gently coming back down. Maybe you can feel the legs, hips, and abs working to keep you moving. There is no right or wrong answer. You can use the time you spend walking from your car into work, from your home to the bus, or the nightly walk around the block with the dog. Body scans are a great practice you can do any time. A body scan is simply the practice of moving through the body to see what is present. You can do this while sitting at your desk, walking, or lying down in bed. The body is always with us, always accessible, and always changing. Tune into your body for a few moments during you day to return to where you are. You can do a formal body scan during your day without anybody knowing you are meditating. Start at the top of the head, and slowly work you way down to your toes. Notice what comes up. What can you actually feel in the body? Below is a body scan meditation you may try to familiarize yourself with the practice before taking it out into the world! Mindfulness doesn’t need to be rigorous, tiresome, or harsh. We can be gentle and at ease. 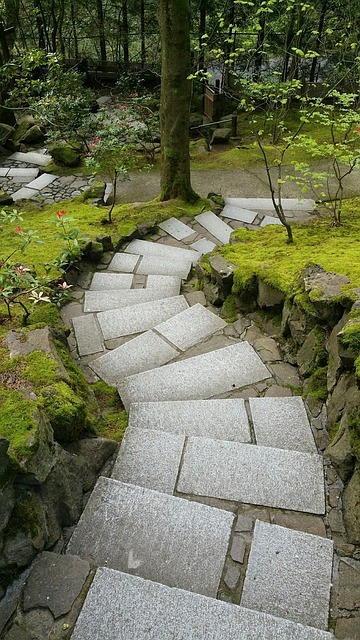 Try taking a walk with the intention of cultivating mindfulness. The wonderful meditation teacher Thich Nhat Hanh is a strong advocate of mindful walks, and we actually learned this practice at his monastery in San Diego. Rather than doing a walking meditation in which you’re walking slowly and tuning into each movement of the body, tune into the world around you. There’s nothing specific you need to make happen. Notice the sounds, the colors, the movement, the nature, the human-made objects, the smells, and whatever comes into your experience. This can be a great way to get some energy out, relax, and cultivate mindfulness while on the go. There are many ways to practice mindful speech, but this is an important practice. It’s one of the factors on the Noble Eightfold Path and an integral part of the Five Precepts, which are five training rules undertaken by lay Buddhists. We spend much of our days interacting with others, so it makes sense that we are to bring mindfulness to one of the ways in which we communicate! You can practice mindful communication by simply being aware of what you’re saying and if it is useful. One practice which may help you greatly is slowing down when speaking. Is what you are saying true? Is it useful and helpful? Is now the right time to say it? It’s not always a right-or-wrong type of investigation, and we must use some discernment. Try tuning into your words to see. As a bonus, tune into the “speech” via text, email, and social media as well! This is a great way to practice mindfulness throughout the day. Mindful listening is a powerful practice that we use in our own lives, dedicating time out to really cultivate a relationship where the other is heard. You can do this any time without anybody knowing you are dedicating effort to listening mindfully. Really tune into what the other person is saying. Try to listen just to listen, without waiting to respond. You may try bringing awareness to the other person’s words, their experience, or the emotion behind them. You may also tune into your own body and mind, noticing what response arises. If somebody says something and you find yourself anxious or angry, you can notice it by practicing mindful listening. As with the other practices on this list, we get much better over time and with consistency. We all fall victim to monkey mind from time to time. The mind bounces from task to task and we find ourselves on autopilot, not fully choosing what we are doing. One practice you can try when learning how to be mindful is to simplify, especially when it comes to getting things done. I know I listen to podcasts often while I’m working or to music while I am driving, but it can also be useful to just focus on the task at hand. Try to do something without distraction. Of course, distraction will arise in the mind anyway, but don’t invite it in! Cultivate a mind that can concentrate on one thing at a time. As we begin to practice this, we find we are able to collect the mind more easily and focus in the future. We can make our tasks a form of samatha, or concentrative meditation. Yes, use technology. There are ways we can use our computers, phones, smart speakers, etc. to help us be more mindful. There are many ways to be mindful, and this may seem silly, but it works. Try setting reminders during your day to pause and be mindful. You can set a gentle alarm for a given time, or find one of many apps which allow you to set random alerts during your day. When the alert goes off, pause and practice a few moments or minutes of mindfulness. You can always try this 1 Minute of Mindfulness practice for a quick break during your day! Of course we cannot talk about meditation without mentioning the breath specifically. Like the body, the breath is always with us. You can return to the body breathing any time during your days, focusing on the sensations in the whole body or in a specific place in the body. Of course you know that you’re breathing, but what does it actually feel like to breathe in this moment? Focus on the one breath in front of you right now. Try to be with it from the beginning of the inhale all the way through the end of the exhale. You can focus on the abdomen, the chest, or the nostrils. You can also feel the overarching sensation of the body breathing. Here is a short guided meditation you can try on the breath. There are many ways to practice mindfulness in bed while lying down. Whether it is in the morning before getting out of bed, or in the evening before falling asleep, use your time in bed as an opportunity to practice mindfulness. Feel the contact of the body with the bed, the body breathing, and notice where the mind is at. If you’re meditating in the morning, you can connect with an intention for the day. At night, you can tune into the experience of the energy settling. When we get into bed, the mind and body may still be active. Try bringing your awareness to the energy in both as they settle into sleep mode. Eating is an important action we do regularly, and we can use it as a mindfulness practice. Instead of eating in front of the computer or a television, invite mindfulness into your daily life by really trying to be present while you eat. Tune into where the food came from, the effort that went into getting it in front of you, and all the energy that made this food happen. When you eat, notice the flavors, textures, and experience of eating. 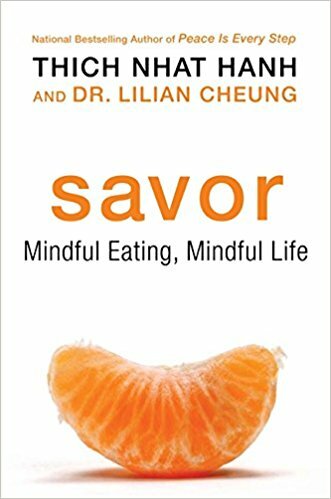 If you’re interested in investigating the practice of mindful eating more deeply, we recommend checking out the book Savor: Mindful Eating, Mindful Life by Thich Nhat Hahn and Dr. Lilian Cheung. It’s a wonderful book by two knowledgeable people that can help you look at the practice of eating as a mindfulness practice in your life. You can read our post Mindful Eating Practices, Tips, and Guidance for more about eating mindfully. The shower is a time in which many of us zone out in a sense, especially in relation to our mindfulness or spiritual practices. We sing, let the mind run, or just shut off. Instead, use your time bathing as a period of meditation. Be present for the shower and really see what the experience is like. Notice how the water feels on the skin. Listen to the noises as the shower runs. Feel the body as you wash and rinse. The shower is a time in which physical sensations are strong, so you don’t need to do much other than receiving whatever arises into your awareness! Sometimes, we hesitate to take a break as we have things to get done. If it helps you take a break, you should know that taking breaks actually boosts productivity. In addition, it is an act of kindness, allowing the mind and body to relax, reset, and revitalize. You can take a brief break to meditate any time during your day. Personally, I find the after-lunch break to be most useful. Like many others, I begin to tire in the afternoon. Taking a break for a five minute meditation can make a huge difference. We just need to remind ourselves that it is useful in the long run, and not buy into the thoughts that tell us we don’t have time for a break! Being creative can be a great way to cultivate some mindfulness in our daily life. If you’re looking for a fun way to be more mindful, try indulging your creative side! Play some music, write some poetry, plant something, draw or doodle, or work on a project. It doesn’t have to be an artistic masterpiece, and you don’t even have to show anyone else. One beautiful side effect of spending time being creative is that we often can be truly present. When you are engaging in your creative activity, return to the present moment with it. Be with the experience, allow your creativity to flow, and use it as a practice. Don’t forget to be gentle with yourself and have a little fun! We can of course slow down to help ourselves be more mindful, but try actually stopping. Sit on a park bench, watch the sunset, or just relax in your chair for a few minutes. We don’t need to do a formal meditation practice to practice mindfulness. Just stop and be where you are. Don’t engage in the thoughts that tell you to do something and don’t fall back into autopilot. You can do this any time during your day that you have a few free moments. You don’t need to wait until you’re somewhere beautiful or quiet. Just stop, let the energy of the day settle, and don’t do anything. However you’re feeling, allow yourself to feel that way. This can be an incredibly grounding practice, bringing us back to the present moment and slowing the mind down. We can practice mindfulness of others with our speech and by listening, but there are other ways. Try looking somebody in the eyes, recognizing that this is another human being just like you. Practice bringing your awareness to the humanity in another individual. Just like you, here is a person with memories, hopes, grief, worry, joy, and all of the other experiences humans have. This can be incorporated with metta practice, as we wish well for this other person. We talked about this in our recent post Bringing Metta With Us. Try offering a few metta phrases silently in your head to the other person, which can be a beautiful practice to help connect with other people. Of course, sitting in meditation makes our list. If you’re wondering how to be mindful all the time, it starts with meditation. Meditation helps build the foundation of mindfulness throughout your day. Dedicate time in the morning or evening to sit. Try to find for yourself what the best time is to meditate during your day. Some people prefer meditating after a long day, while others enjoy a morning meditation to start the day. Investigate for yourself what works, and set some time aside for formal sitting practice. As we sit more often in formal meditation, we train our minds to return to present-time awareness and recognition. The mind returns to the present moment with more ease, and we’re able to bring mindfulness into everyday living much more often. If you’re not sure how to get started, check out our free week of meditations to get started! Finding this site is a remarkable, because I attend Mindful sessions every Thurs. At the begining of a session the group takes 5 min to do a full body scan. It is very soothing and brings upon me to be present and in the Now.? Beautiful! Body scans are wonderful practices!